Are you avid golfer and looking into St. Simons Island property? Need to know how the golf courses around here stack up? Well look no further. 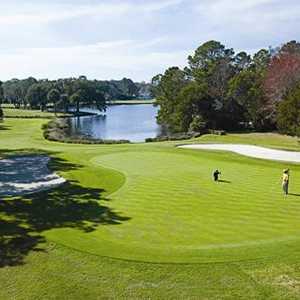 Not only is St. Simons Island an exquisite place to live; our golf courses are a delight for golfers at any level. Golf Digest Index ranks Sea Island Golf Club #1 among the “World’s 50 Best Golf Hotels”. It is host to the PGA TOURâ€™s famous McGladrey Classic. Sea Island offers three outstanding 18-hole courses for the golf enthusiast with unique features to each, including gorgeous ocean views and a meandering course through marsh and woodlands. Located just 30 minutes away from St. Simons, Jekyll Island is by far the largest golf course in the state of Georgia. Welcoming golfers since 1898, the course has grown exceedingly from its first single course. Now with 63 holes on four golf courses; itâ€™s a golferâ€™s dream. Located along Georgiaâ€™s coast, The King and Prince Golf Course comprises a historic and epic land which was previously an antebellum plantation. The course opened in 1989 and now boasts four remarkable holes carved from marsh land. In its entirety it is an 18 hole, 72 par course with spectacular views and grounds. Grand Oak trees will shade your game at Sea Palms Golf Course. Enjoy striking views while traversing the 27 holes among three courses. Among their offerings are private and group instruction, putting and chipping greens and a driving range to brush up on your swing. Want to learn more about owning St. Simons Island property?